LAND ROVER RANGE ROVER L322 TDV8 3.6 DIESEL. SENDER AND PUMP ASSEMBLY. PARTS COLOUR MAY VERY DUE TO MANUFACTURE PRODUCTION. PART NUMBERS ARE FOR REFERENCE ONLY AND DO NOT IMPLY THE MANUFACTURER. ALL SPECIFICATIONS ARE SUBJECT TO CHANGE. LAND ROVER DISCOVERY 3 2007. Part Compatibility. Manufacturer Part Number WFX000260G. MPN WFX000260G. This can be replaced by either dropping the fuel tank, or carefully cutting through the floor in the correct place to remove the pump from the top. 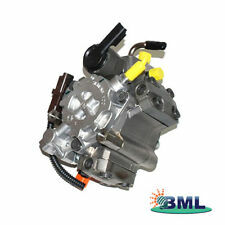 New VDO fuel injection pump suitable for Land Rover Discovery 3 and Range Rover Sport 2.7 TDV6 models. Land Rover Discovery 3. Land Rover Discovery 3 2.7 TDV6. Range Rover Sport. Range Rover Sport 2. 7 TDV6. 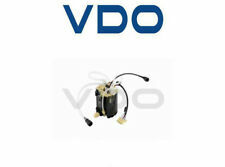 WFX000280 TD5 VDO Fuel Pump. Land Rover Discovery TD5 Fuel Pump & Sender Unit. Land Rover Discovery 2 TD5, (1998-2004). Manufacturer: VDO (as Genuine). Land Rover Parts & Accessories. Land Rover Parts. 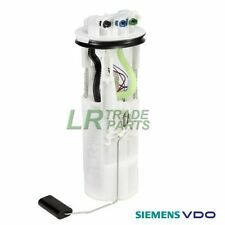 LR038602 RHS Fuel Pump & Sender. Land Rover Freelander 2 2.2 TD4 RHS In Tank Fuel Pump & Sender. Freelander 2, 2.2 TD4 (2006 Onwards). Rear RHS, Drivers, O/S. Freelander Parts. Series 2 & 3 - Defender 90/110/130, Discovery 1,2,3,4,5 & Sport - Freelander 1 & 2 - Range Rover Classic, P38, L322, L405, Sport & Evoque. VDO FUEL PUMP. LAND ROVER DISCOVERY 3 2.7TDV6. LAND ROVER DISCOVERY 4 2.7TDV6. LAND ROVER RANGE ROVER SPORTS 2.7TDV6. We are happy to help you. Parts colour may very due to manufacture production. PICTURES AND PART NUMBERS ARE FOR REFERENCE ONLY AND DO NOT IMPLY THE MANUFACTURER. P/N: LR017367. Suitable for Land Rover Discovery 3 & 4, (2004-2010) as well as Range Rover Sport (2005-2009). 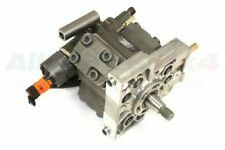 LAND ROVER 2.7 TDV6 FUEL INJECTION PUMP - BRAND NEW VDO BRAND - LR017367. Condition is New. Dispatched with Royal Mail 2nd Class. Prop Shafts, Bearings & Joints. Wind Deflectors. Land Rover Discovery 3, 4 5, Range Rover & Sport Alloy Wheel Nut x20 - LR068126. Land Rover & Range Rover 2.5NA, 2.5TD & 200Tdi Diesel Fuel Lift Pump Kit STC1190. Selectors & Yoke Assembly. Wind Deflectors. Land Rover & Range Rover 2.5NA, 2.5TD & 200Tdi Diesel Fuel Lift Pump Kit STC1190. Defender, Discovery 1 & Range Rover Classic 300 Tdi Fuel Lift Pump - ERR5057. MALTINGS TRADE CLUB MEMBERS RECEIVE FURTHER DISCOUNTS CALL FOR DETAILS!!!!!!! 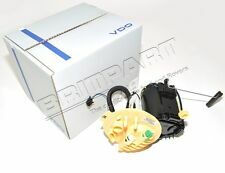 BRAND NEW GENUINE VDO FUEL INJECTION PUMP. (NOT RECON BRAND NEW!) EARLY EU2 EU3 PUMP FITTED UPTO 2007 ON BOTH DISCOVERY 3 AND RANGE ROVER SPORT 2.7 TDV6 MODELS. LR009804 UNSURE ITS FOR YOUR VEHICLE CALL US TO CONFIRM WITH YOUR REG NUMBER. WE WILL COLLECT THE OLD UNIT AT OUR OWN COST. ANY QUESTIONS CALL ANDY 01427 753394 WE DO ALL PARTS FOR ALL LANDROVERS BOTH PATTERN AND GENUINE AT VERY COMPETITIVE PRICES PLEASE CALL US ON THE PARTS LINE FOR ANY PART YOU MAY REQUIRE, WE ARE ALSO HAPPY TO GIVE ADVISE IF YOU NEED ANY. MALTINGS OFF ROAD LTD WESTWOODSIDE DONCASTER DN9 2AR BECOME A MALTINGS TRADE CLUB MEMBER AND RECEIVE FURTHER DISCOUNT ON EBAY ITEMS,FREE CARRIDGE AND FREE LANDROVER TECHNICAL SUPPORT FROM OUR SERVICE DEPARTMENT. CALL FOR DETAILS!!!. Discovery 2 – All model years – Td5 diesel models. PARTS >> ACCESSORIES >> DEFENDER SERIES DISCOVERY 1 1989 to 1998 DISCOVERY 2 1999 to 2003 DISCOVERY 3 2005 to 2009 DISCOVERY 4 2010 to 2016 DISCOVERY SPORT 2015 on FREELANDER 1 1996 to 2006 FREELANDER 2 2006 to 2014 RANGE ROVER CLASSIC RANGE ROVER P38 RANGE ROVER L322 2002 to 2012 RANGE ROVER L405 2013 on RANGE ROVER SPORT RANGE ROVER EVOQUE UPGRADES >> TOOLS,OILS AND OTHER DIY >> Books Manuals and Gifts. 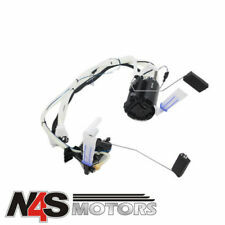 Part Number: LR038602. All Freelander 2 2.2 Diesel models. In Tank Fuel Pump & Sender. FREE CARRIAGE APPLIES TO MAINLAND UK ONLY. Pictures are for reference only and specifications may alter without notice. Discovery 2 TD5 In-Tank Fuel Pump Sender WFX000280. Land Rover: Discovery 2, TD5, 1998-2004. OEM LAND ROVER DISCOVERY 2 TD5IN TANK FUEL PUMPWFX000280. Conversion Parts Conversion Accessories. Getting your new products to your door is our No1 priority. Maltings trade club members receive further discounts call for details. Landrover discovery 4 tdv6 3.0L in tank fuel pump and sender module complete. Usual suspect for discovery 4 lack of power or non start. This pump is for all 3.0L models. Fits all discovery 4 models from 2009-2014. unsure this is correct for you give us a call with your vehicle details. 2 years warranty. vat reciept supplied with part. genuine vdo unit. part number lr042717 FURTHER DISCOUNTS AVAILABLE. ANY QUESTIONS CALL ANDY 01427 753394 WE DO ALL PARTS FOR ALL LANDROVERS BOTH PATTERN AND GENUINE AT VERY COMPETITIVE PRICES PLEASE CALL US ON THE PARTS LINE FOR ANY PART YOU MAY REQUIRE, WE ARE ALSO HAPPY TO GIVE ADVISE IF YOU NEED ANY. LAND ROVER FREELANDER 1996 - 2006 (With Petrol Engines). FUEL TANK FUEL FILTER 2.5L KV6 PETROL. PARTS COLOUR MAY VERY DUE TO MANUFACTURE PRODUCTION. PICTURES AND PART NUMBERS ARE FOR REFERENCE ONLY AND DO NOT IMPLY THE MANUFACTURER. LAND ROVER DISCOVERY 4. We are happy to help you. SENDER AND PUMP ASSEMBLY. Parts colour may very due to manufacture production. PICTURES AND PART NUMBERS ARE FOR REFERENCE ONLY AND DO NOT IMPLY THE MANUFACTURER. WFX000250 - OEM (VDO) - Fuel Pump. Land Rover - Defender 90" - Fitted with TD5 Engine. Carriage prices quoted are for UK Mainland only. PART NUMBER: LR042717. HIGH QUALITY VDO MANUFACTURED IN TANK FUEL PUMP. DISCOVERY 3 2.7 TdV6 2005 - 2009. DISCOVERY 4 2.7 TdV6 2010 - 2016. DISCOVERY 4 3.0 V6 2010 - 2016. RANGE ROVER SPORT 3.0 V6 2010 - 2013. Land Rover series 2, 2a and 3 petrol fuel pump and filter. Used but in good condition. LAND ROVER FREELANDER 1997-2000 PETROL IN TANK FUEL PUMP. ALL PARTS ARE USED & FULLY TESTED UNLESS OTHERWISE STATED. BEARING IN MIND THE AGE OF THE VEHICLE. IF THERE ARE PART NUMBERS IN THE ADVERT, THEY'RE THERE FOR A REASON. SENDER AND PUMP ASSEMBLY FROM VDO. LAND ROVER DISCOVERY 3 4.0/4.4 PETROL. LAND ROVER DISCOVERY 4 4.0/4.4 PETROL. LAND ROVER RANGE ROVER SPORTS 4.0/4.4 PETROL. We are happy to help you. Parts colour may very due to manufacture production. MALTINGS TRADE CLUB MEMBERS RECEIVE FURTHER DISCOUNTS CALL FOR DETAILS!!!!!!! BRAND NEW GENUINE VDO FUEL INJECTION PUMP. (NOT RECON BRAND NEW!) LATER EU4 PUMP FITTED FROM 2007 ON BOTH DISCOVERY 3 AND RANGE ROVER SPORT 2.7 TDV6 MODELS. LR017367 UNSURE ITS FOR YOUR VEHICLE CALL US TO CONFIRM WITH YOUR REG NUMBER. WE WILL COLLECT THE OLD UNIT AT OUR OWN COST. ANY QUESTIONS CALL ANDY 01427 753394 WE DO ALL PARTS FOR ALL LANDROVERS BOTH PATTERN AND GENUINE AT VERY COMPETITIVE PRICES PLEASE CALL US ON THE PARTS LINE FOR ANY PART YOU MAY REQUIRE, WE ARE ALSO HAPPY TO GIVE ADVISE IF YOU NEED ANY. MALTINGS OFF ROAD LTD WESTWOODSIDE DONCASTER DN9 2AR BECOME A MALTINGS TRADE CLUB MEMBER AND RECEIVE FURTHER DISCOUNT ON EBAY ITEMS,FREE CARRIDGE AND FREE LANDROVER TECHNICAL SUPPORT FROM OUR SERVICE DEPARTMENT. CALL FOR DETAILS!!!. Land Rover Discovery TD5 Fuel Pump & Sender Unitall. Whenever possible, we provide the part number. If in doubt, ask. font-size:20px;. unit 2, zone 3A. RANGE ROVER L322 4.2 SUPERCHARGED PETROL V8 IN TANK FUEL PUMP AND SENDER UNIT. FITS ALL JAGUAR 4.2 AJ SUPERCHARGED V8 RANGE ROVER L322 MODELS 2006-2010. UNSURE ITS FOR YOUR VEHICLE CALL US TO CONFIRM WITH YOUR REG NUMBER. ANY QUESTIONS CALL OUR PARTS TEAM ON 01427 753394 WE DO ALL PARTS FOR ALL LANDROVERS BOTH PATTERN AND GENUINE AT VERY COMPETITIVE PRICES PLEASE CALL US ON THE PARTS LINE FOR ANY PART YOU MAY REQUIRE, WE ARE ALSO HAPPY TO GIVE ADVISE IF YOU NEED ANY. MALTINGS OFF ROAD LTD WESTWOODSIDE DONCASTER DN9 2ED BECOME A MALTINGS TRADE CLUB MEMBER AND RECEIVE FURTHER DISCOUNT ON EBAY ITEMS,FREE CARRIDGE AND FREE LANDROVER TECHNICAL SUPPORT FROM OUR SERVICE DEPARTMENT. CALL FOR DETAILS!!!. Manufacturer Part Number LR015178. Range Rover HSE 2006 - 2009. Fuel Pump And Sender Unit (AJ Petrol 4.4 V8 EFI (220KW)). Common symptoms for this are your fuel gauge being stuck on empty or full and your fuel gauge jumping positions suddenly. This information is direct from the part manufacturer, we do not own this data and cannot confirm it's accuracy or edit the data. Engine Code: 23 L,11 L,16 L | Engine Code: 11 L | Chassis no. from: (V)2A622423. WFX000260 - OEM (VDO) - Fuel Pump. Land Rover - Defender 110" - Fitted with TD5 Engine. Carriage prices quoted are for UK Mainland only. MALTINGS TRADE CLUB MEMBERS RECEIVE FURTHER DISCOUNTS CALL FOR DETAILS OR VISIT OUR WEBSITE!! MALTINGSOFFROAD LANDROVER DEFENDER 90 2.4 TDCI PUMA IN TANK FUEL PUMP AND SENDER UNIT. GENUINE SIEMANS VDO PUMP. FITS ALL 2.4 90 MODELS. ANY QUESTIONS CALL OUR PARTS TEAM WHO WILL BE HAPPY TO HELP. WE DO ALL PARTS FOR ALL LANDROVERS BOTH PATTERN AND GENUINE AT VERY COMPETITIVE PRICES PLEASE CALL US ON THE PARTS LINE FOR ANY PART YOU MAY REQUIRE, WE ARE ALSO HAPPY TO GIVE ADVISE IF YOU NEED ANY. MALTINGS OFF ROAD LTD WESTWOODSIDE DONCASTER DN9 2ED BECOME A MALTINGS TRADE CLUB MEMBER AND RECEIVE FURTHER DISCOUNT ON EBAY ITEMS,FREE CARRIDGE AND FREE LANDROVER TECHNICAL SUPPORT FROM OUR SERVICE DEPARTMENT. CALL FOR DETAILS!!!. Roll Cages. Land Rover 300 TDI Fuel Pump Gasket Olives and Nut Fitting Kit for Pump ERR5057 twinny_boy(504). Chequer Plate. Bearmach Land Rover Axle, Tank & Transfer Box Drain Plug Removal Tool - BA 5443 markv7050(25). MALTINGS TRADE CLUB MEMBERS RECEIVE FURTHER DISCOUNTS CALL FOR DETAILS!!!!!!! BRAND NEW GENUINE SIEMENS VDO HIGH PRESSURE FUEL PUMP (INJECTION PUMP) FITS ALL 3.6 TDV8 ENGINES IN BOTH THE RANGE ROVER L322 AND THE RANGE ROVER SPORT. BRAND NEW UNIT LR009737 X1 ANY QUESTIONS CALL ANDY 01427 753394 WE DO ALL PARTS FOR ALL LANDROVERS BOTH PATTERN AND GENUINE AT VERY COMPETITIVE PRICES PLEASE CALL US ON THE PARTS LINE FOR ANY PART YOU MAY REQUIRE, WE ARE ALSO HAPPY TO GIVE ADVISE IF YOU NEED ANY. MALTINGS OFF ROAD LTD WESTWOODSIDE DONCASTER DN9 2AR BECOME A MALTINGS TRADE CLUB MEMBER AND RECEIVE FURTHER DISCOUNT ON EBAY ITEMS,FREE CARRIDGE AND FREE LANDROVER TECHNICAL SUPPORT FROM OUR SERVICE DEPARTMENT. CALL FOR DETAILS!!!. LAND ROVER DISCOVERY 4. We are happy to help you. FUEL INJECTION PUMP ASSEMBLY. Parts colour may very due to manufacture production. PICTURES AND PART NUMBERS ARE FOR REFERENCE ONLY AND DO NOT IMPLY THE MANUFACTURER. 1717702, 1841728, 1849878, LR029969, LR052872, 5WS40695, A2C59517043. GENUINE VDO FUEL PUMP. LAND ROVER DEFENDER. Fuel Filler Flap and Housing. Fuel Rail Sensors. Head Bolts. Big End Bearings. Fuel Pump Solenoids. Genuine VDO Parts. VDO - A Trademark of the Continental Corporation. Also the online tool will include any fixes for previous part compatibility errors. Fast, friendly, knowledgeable, dedicated UK Based Support Team. Diesel Injectors. Other Diesel Injectors. Bosch Diesel Injectors. Delphi Diesel Injectors. Denso Diesel Injectors. - Diesel Filters. - Diesel Valves. Bosch Diesel Valves. PART NO : LR009804. LANDROVER 2.7 TDV6 FUEL INJECTION PUMP FOR EU3 ENGINES UPTO 2007. LANDROVER 2.7TDV6 FUEL INJECTION PUMP. LAND ROVER DISCOVERY 3 4.4 V8 AJ PET 2005 TO 2009. LAND ROVER RANGE ROVER SPORT 2005 TO 2009 4.4 V8 AJ PETROL. LAND ROVER DISCOVERY 4 4.0 V6 PETROL 2010 ONWARD. SENDER PUMP ASSEMBLY. PARTS COLOUR MAY VERY DUE TO MANUFACTURE PRODUCTION. PARTS NUMBER: WFX000280G. FUEL PUMP FOR THE DISCOVERY 2 TD5. DISCOVERY 2 TD5. GENUINE VDO TYPE. LAND ROVER FREELANDER 1 1.8 2.5 V6 PETROL ENGINES - VDO FUEL PUMP YOU ARE PURCHASING A HIGH QUALITY VDO REPLACEMENT FUEL PUMP COMPATIBILITY: LAND ROVER FREELANDER 1 1.8I PETROL 2003-2006 MODELS LAND ROVER FREELANDER 2.5 V6 PETROL 2001-2006 MODELS PART NUMBER - WFX000210G Manufacturers part numbers are used for identification purposes only. PLEASE READ OUR WARRANTY, RETURNS DELIVERY TERMSBEFORE BUYING. WQB100440X / WQB100440. LAND ROVER DEFENDER 1983 TO 2006. LAND ROVER DEFENDER 2007 ONWARD. We are happy to help you. FUEL PUMP ASSEMBLY. Parts colour may very due to manufacture production. PICTURES AND PART NUMBERS ARE FOR REFERENCE ONLY AND DO NOT IMPLY THE MANUFACTURER. Fuel type: Petrol. VDO A2C53279539Z. LAND ROVER AH42-9H307-AE. LAND ROVER LR011090. LAND ROVER LR018276. Pump Number: HPI4.6. Will this item fit your vehicle?. OEM Number: AH42-9H307-AE / LR011090 / LR018276.